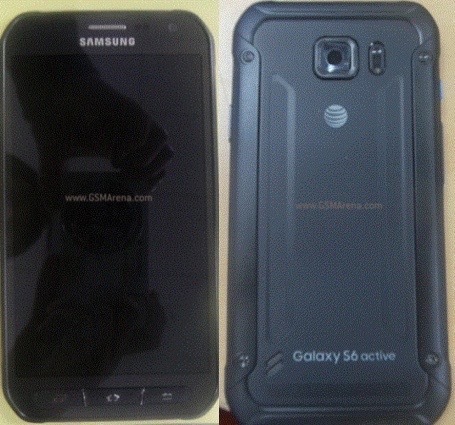 A tipster sent us two alleged photos of the unannounced Samsung Galaxy S6 Active. The images showcase the front and the back of the rugged smartphone in black color scheme. As you can see above, Samsung Galaxy S6 Active is built like a tank. The handset keep the camera and heart rate monitor layout of the regular Galaxy S6, but has its loudspeaker moved to its back. It is all but certain that Samsung Galaxy S6 Active will not offer a fingerprint sensor due to its rugged buttons. This is hardly a surprise as last year’s Samsung Galaxy S5 Active didn’t have the feature either. According to the source of the images, Samsung Galaxy S6 Active will sport the model number SM-G890A. The handset will pack a generous 3,500mAh battery. The latter is significantly larger than the 2,600mAh unit of the SM-G920. Hat tip to our anonymous tipster! I am hoping Verizon will carry it as well! It looks like a very good phone!